You all totally know how I am! I can’t just work on one project. So, I decided to start on ChicKnits Velynda. I’m using Di.Ve Zenith. I had previously earmarked this yarn for Cassidy, but since I am avoiding piece knitting I’m re-purposing it. I’ve only just cast on and started the ribbing…I have a long way to go. I think this might be able to keep me interested for a while. 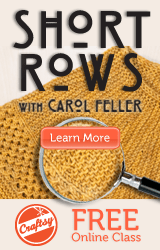 There is cabling, stockinette, ribbing – all the fun things to keep a distracted knitter from straying…hmmm.